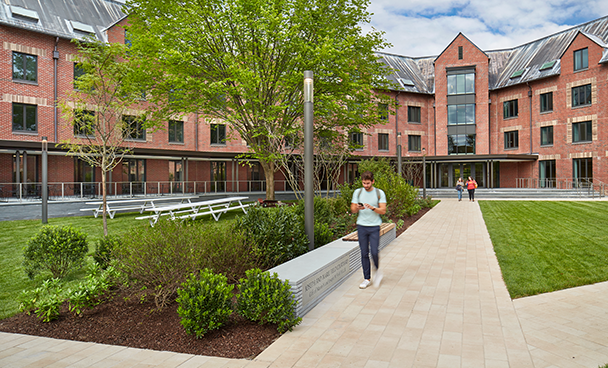 With the comprehensive renovation of Baker Hall, Pirie Associates has provided Yale Law School with an additional 137,000 square feet of space. But they’ve also given the Law School a new opportunity to take what they do to the next level. In 2013, alumni Robert C. and Christina Baker donated $25 million to Yale Law School, which used those funds and an additional $35 million in fundraising to expand its footprint for the first time since the Sterling Law Building was completed in 1931. 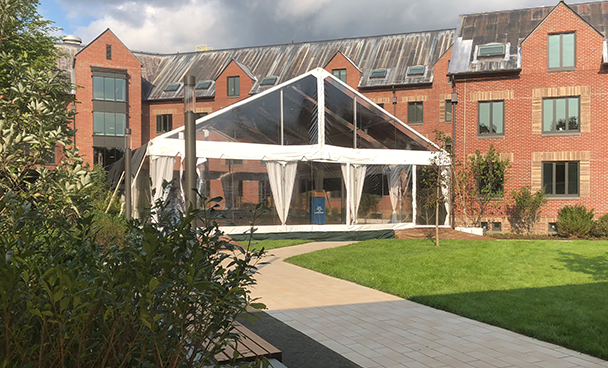 Robert Post, Sterling Professor of Law and former dean, said they were expecting to turn Baker Hall — formerly known as the “Swing Dorm” on Yale’s campus and renamed in honor of the generous donors who made its renovation possible — into a dormitory for students. But Laura Pirie from Pirie Associates, one of the architecture firms invited to consider a possible design solution, had an entirely different vision for the concrete and masonry building.